12. You are aware that you are a spiritual being having a human experience. 23. You are obsessed with all things spiritual, alternative, conspiracy, healing, positivity. 34. Your energy is softer – you are becoming less aggressive and dualistic. 45. You take full responsibility for everything that has occurred or will occur in your life. 56. You accept responsibility for your own feelings, emotions, state of health and happiness. 67. Your life is becoming more and more aligned with the “image” you project to others. 78. You appreciate the diversity of creation. You understand that no two souls, just like no two snowflakes are alike. 89. You are becoming conscious of the direction of your energy and you know how powerful you are. 910. You are practicing SELF LOVE and understand that whatever is happening in your life is there to help you further your evolution into higher states of consciousness. 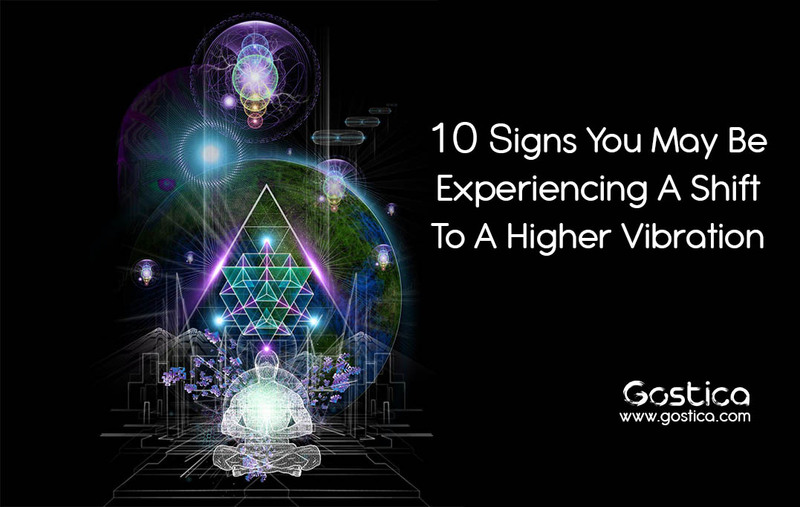 How do you know if what you are experiencing is actually for your higher purpose? As a start, if it’s uncomfortable, it’s probably going to help you grow. 1. You are aware of the term ascension. You understand that ascension is the process of integrating more LIGHT from your higher soul into your physical being through the process of meditation and ego/shadow work. Ascension requires us to SPIRITUALIZE our lower being – taking dominion over our ego/shadow consciousness, which keeps us stuck in repetitive cycles of negative, unconscious, reactive, karmic behaviors. Ascension requires us to transmute the darkness within our lower selves/physical selves so we can raise the vibrational frequencies of our emotional, mental and physical energetic bodies so we can merge with the very high vibrating energies of our spiritual bodies where our higher souls/God selves reside. 2. You are aware that you are a spiritual being having a human experience. You know that you are a multidimensional being and that your true essence does not reside solely in the physical body. 3. You are obsessed with all things spiritual, alternative, conspiracy, healing, positivity. You want to read everything you can about the truth of your being and what is really going on our planet. After a period of delving into the horror of it all, and having to face the truth of how we have allowed ourselves to be manipulated and controlled, you decide you want to take back your energy and your power. You become less focused on the chaos and horror of the outer environment knowing that change begins with the self. Trying to change others, without first changing ourselves perpetuates outer projections of our own issues onto others which keeps us in a karmic cycle of negative re-creation over and over again. 4. Your energy is softer – you are becoming less aggressive and dualistic. You are so focused on your own inner workings and your conflicting subconscious beliefs – that create discord within your being – that you no longer desire to spend your time focusing on other people’s beliefs. If ASKED, you will share your perspective, but you no longer feel the need to control or preach to others. 5. You take full responsibility for everything that has occurred or will occur in your life. You understand that you are a multidimensional, vibrational being with many aspects of yourself in the past, present and future timelines of your very own energy fields. Your conscious, unconscious, subconscious and superconscious energies are creating your entire life experience through the NOW moment of your current vibrational energy contained within your energy fields. In order to change our futures, we will have to change the energy of our NOW. 6. You accept responsibility for your own feelings, emotions, state of health and happiness. You do not look outside of yourself for a savior. You also understand that talking about making changes, and actually creating changes are two different things. After years of being disconnected from your bodies (physical, emotional, mental and spiritual) – because you were trying to avoid your pain – you are becoming more grounded into your physical being so you can deal with all of the “deal with later folders” you have filed in your energy fields. You are making more life-affirming decisions for your self and becoming conscious of the choices that have the potential to contract or expand your consciousness in every moment. You are slowing down and spending quite a time with your higher soul, and you no longer feel the need to keep yourself overly busy because you no longer need to escape or run from the problems in your life. You are facing them head on, and are making better choices in all areas of your life. 7. Your life is becoming more and more aligned with the “image” you project to others. Your masks are off, and you are who you say you are. You are doing your best to live an authentic life aligned with your higher soul. There is nothing for you to hide or keep a secret. You are able to openly and honestly live and speak from your heart making choices that are light-filled for you regardless of what others might think, feel or say. 8. You appreciate the diversity of creation. You understand that no two souls, just like no two snowflakes are alike. The free will of another soul is honored and when someone does not align with your specific lifestyle you respect their free will to learn and evolve and sometimes revolve around their own learning experiences. You are becoming tolerant of other souls and the diversity of creation, and you also use your free will to invest your time and energy in relationships and activities that are more resonate with your soul’s vibrational frequency. 9. You are becoming conscious of the direction of your energy and you know how powerful you are. You understand the power of your feelings, emotions, thoughts and words and you are doing your best to take dominion over them so you don’t project your hidden issues onto others. You also understand the world of energy and how your energy, and the energy of others, can greatly affect each other’s state of well being. 10. You are practicing SELF LOVE and understand that whatever is happening in your life is there to help you further your evolution into higher states of consciousness. You no longer expect perfection from your self or do you expect to master every soul lesson that comes your way immediately. You are patient and kind to your self when you make a mistake, and see it as an opportunity to learn and grow from your current state of being into a higher vibrational being. You forgive yourself for your previous unconscious choices that created pain when you were unaware, and you are actively changing your behavioral patterns so you won’t repeat the same karmic events in the future. You are loving, kind, compassionate and forgiving towards the self….therefore, you are also able to give that to others. For we can not give to others what we have not first given to our self. You are forever refining your self, polishing the diamond within and climbing the mountain of self-knowing that one day you will merge into oneness with your higher soul activating the kingdom of God/dess within.